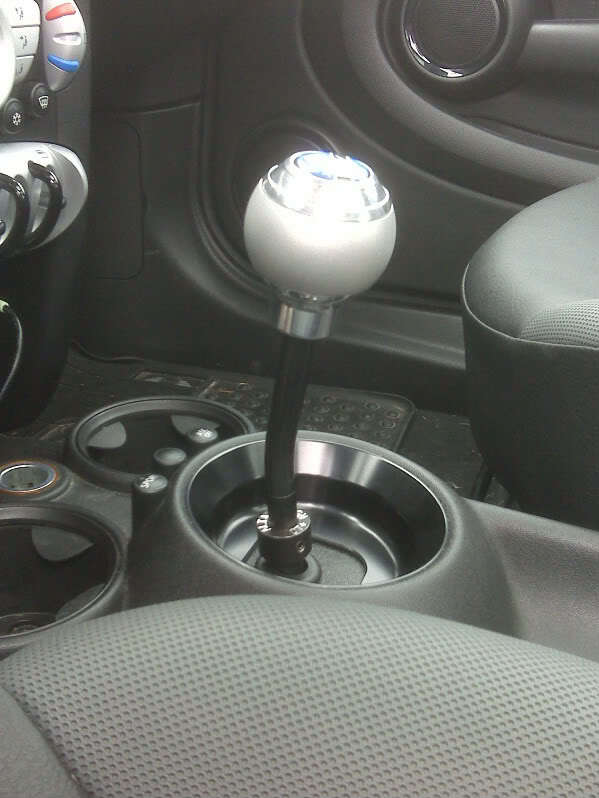 I'm looking to add a short shifter kit to my '10 Cooper. So far it's between the ALTA Short Shifter and the Craven Speed Shifter. If you have either of these installed, or can recommend one over the other, please share your feedback and experience(s). Thanks in advance! I have the Craven Speed. I love it. Goes really nice with their powdercoated shift plate. Or you can use the stock **** and boot. Simple, inexpensive. It's probably the most widely used one on the market. ^ that link also says "R53." If it can be used for the R56 the site should be updated. I have the ALTA SSK along with the cravenspeed shift well cover. I love how it feels and how adjustable it is, but if you really need something that adjusts quickly, I'd get the CS SSK. I just think the ALTA one is made a little better IMO. I can't tell you how many compliments I get on the looks of ithe setup I have. 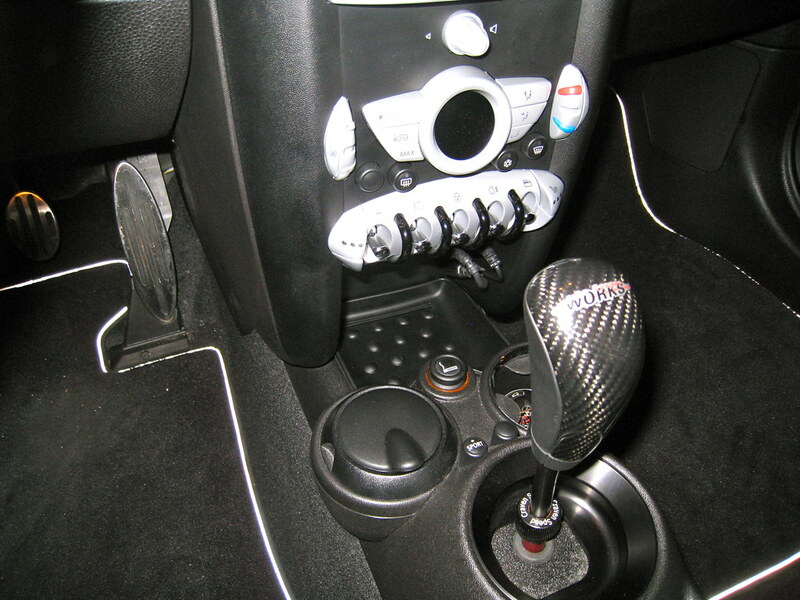 No the R56 is the third item in the shifter section ('07 plus...). Website revamp is on the way, however. Here's what it looks like with the ALTA SSK and the CS shift well cover. Pretty awesome IMO. thanks drew. that does look really sweet! now does the ALTA ssk adjust (shorter/longer) too? Yep. Where that collar is, there are 3 screws. Loosen the screws and you can slide the shifter up and down. The only thing is I don't think ALTA makes them anymore, but I'm sure you can find one in the marketplace. Holy crap I paid ~$120 for mine last spring and ALTA was selling them for around 60 bucks before they stopped making them! $200 is crazy. Still worth it IMO, but crazy. 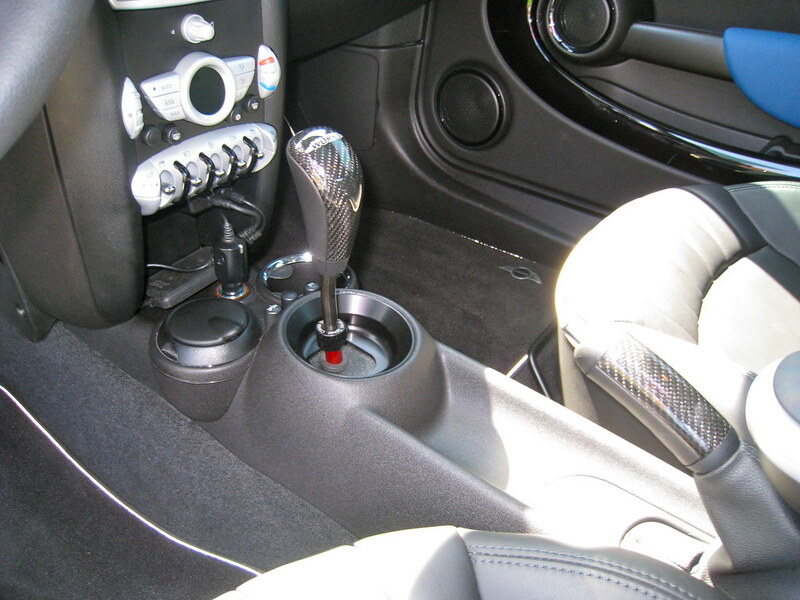 I have the Craven Speed adjustable short shifter with well cover and JCW CF shifter. Been on the car for about 1.5 years. The SSK has always been set at the lowest setting. I love this combo. It's probably my favorite mod on my car. And what about the NM Engeneering short shifter? It seems to be close to the Helix one. Send a private message to W.G. Find all posts by W.G. Looks good minus that gigantic JCW shift ****..
We use and install the Craven short shifters. They are the best and easiest to adjust. Thanks. I like that gigantic JCW shifter. Actually anything mounted on the SSK will look big. Since ALTA took the ssk off their site, does anybody have the instructions saved or a link to one online? I know the general process with removing the heat shield / dust cover, linkage cables etc, but if I could find one specific to their kit it'd be nice to have them point out each detail on the part. I just picked up a used one so I'll be installing soon.. I'm almost positive I have them at my house, but I'm 300 miles away from home right now. I'll be home on Monday, and I can make a PDF version for you. Check out the 'How To' section over at OutMotoring.com... Aaron has quite a collection of instructions, including Alta SSK (Gen 1 and Gen 2) and B&M SSK. How much shorter is the shift on the Cravenspeed like 20-30% shorter? How much lower can you get the shifter to sit, a few inches like 1 1/2? Thanks, lookin to pull the trigger on one of these soon. I'm too about to decide between the Alta or Craven short shifter, but would like to keep both the stock **** and boot. Anyone with such a setup? I've installed and used both the Alta and the Craven. I highly recommend the Craven over the Alta. Mainly cause the Craven is much easier to adjust with the ****, the Alta has the screws that you will have to get a wrench to loosen and adjust, also those screws can come loose which I've seen happen.